The merging process of China COSCO and CSL is proceeding. However they have to face the great challenge that the deficit brings to them. According to financial data, the COSCO and CSL have a deficit over 5 billion CNY in the 2016 financial year. In addition, the export shipments have a 9% plummet based on the published report of China Custom. Massive Layoffs is proceeding due to the 5 billion CNY loss! The financial reports show the life of the companies in ocean freight industry is getting tough. The profits and revenues have an accelerated decline in 2016. In 2016 financial year, the total revenue of China COSCO decrease 20% and the total revenue of CSL fall 40%. The situation is getting worse when it comes to their profit. 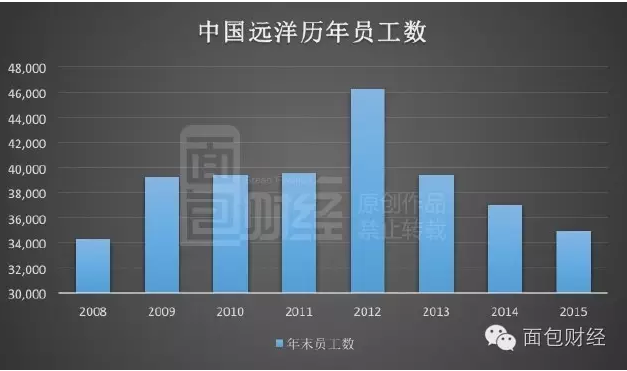 COSCO has a loss of 4.483 billion CNY which is 3.48 billion CNY more than last financial year; CSL has a loss of 0.859 billion CNY this year. To be noticed, CSL had 0.685 billion CNY net profit last year. These two companies' loss are over 5.3 billion CNY. Other companies in this industry have the same situation; their profits decrease 20% compare to last year. Actually, the slump of the profits is becoming a trend for China Ocean freight industry. In 2015, COSCO and CSL's revenue and profit have a negative growth of 10% compare to 2014. The declines in profit and income influence the layoffs between Ocean freight practitioners gives them massive stress and pressure. In 2015, the amount of the Ocean freight practitioners decreases 2114. The total numbers of the Ocean freight practitioners drop around 11000 from 2012. China export shipments have 25% decline, when will the recession over? The causes of this recession because of the continuing decrease amounting to Chinese import and export trades. After 2008 economic crisis, the Chinese exports experience a recovery incline. However, after the year 2010, the rate of incline started decreasing. In 2014, the incline was only 3.4%. In 2015, it had an 8% decline. In 2016, imports and exports have witnessed complicated and severe circumstances. At the end of the season, the volume of exports decreases 11.3%. As well as the volume of trade and ocean cargoes. The update data of China custom shows the ocean cargoes in April 2016 were 0.32 billion tons which were 9% less than last year; export cargos were 0.11 billion tons which were 24.3% less than last year, the decline was about 25%. The decrease in the rate of Chinese exports inclines and the massive global ocean freight competitors cause the market prices decrease to their costs. The average of BDI(Baltic Dry Index) was 718 in 2015, it is 35% less than 2014. In the fourth season of 2015; the BDI create the lowest record of 471 in the peak season. Meanwhile, the CCFI(China Containerized Freight Index) had an average of 872 which is 20% less than 2014. For China which is famous for its manufactory industry, the freight industry is actually an index for the whole Chinese economic. It is a severe recession! Order more ships although there is an excess capacity? The recession of freight industry has a direct effect in shipbuilding enterprises. Many shipbuilding enterprises have a bad finance status ahead of freight industry. However, they are continuing building more ships instead of ceasing to build ships. According to a report published by China Association Of The National Shipbuilding, from Jan 2016 to Apr 2016, the orders of shipbuilding had a tremendous increase of 108%, the new orders are 12.5 million tons which are the 88.1% of worldwide new orders. A Korean Media reports that the shipbuilding industry in China has occupied half of the global market. The Chinese shipbuilding industry is becoming the dominator of the market while the world ship orders decrease 30% compare to last year. China COSCO 2015 financial analysis: 2016 world economic will not recover quickly, the demand of international freight market will have moderate increase. The oversupply situation will last in 2016. There will not be an apparent change in freight industry. The difficulty of making the profit is increasing. That was a foresee of future freight industry, yet the shipbuilding order is crazily boosting. After 1 or 2 years, when these ships are constructed and be put into the freight market, the capacity increase, what will happen? That is an intriguing question. Will the loss become more and more serious because of the lower price and more competitions? Is it a good idea of ordering more ships?